Corner Fireplace Ideas – Warming up your room with some corner fireplace ideas for your house. Some people might not feel comfortable about placing the fireplace area in the corner because it’s not the most common design of a fireplace. Well, you can have the common things for your house, but there’s nothing wrong having an uncommon design with the more interesting concept. A home designer defines a fireplace as an architectural structure that is designed to hold a fire. People have a fireplace to give a relaxation and ambiance to the atmosphere of the room, making the room more warm in a natural way. Back in the day where the classic era occurred, a fireplace was used in daily lives for cooking, heating or warming up water to wash clothes and some other domestic uses. In the modern era where technology advances, people are no longer considered fireplaces as an important element in a house. People in modern era choose to have some more sophisticated elements that heat the room rather than the traditional fireplace. There are still many people that are glad to have a fireplace in their house. They just want to make a focal point or perfect spot for family members to gather round to enjoy each other’s company. Well, let’s focus on the location of the fireplace. Putting it in the middle of the corner of the house would surely feel differently. But, it could also be based on the space you have. Wherever the fireplace is placed, it’s still gonna be the focal point of all. Mostly, people would apply the corner fireplace ideas in a living room area. Sometime, you might also see it in a basement room. The design concept of the fireplace will always be similar. You need to make sure that all of the important elements exist. You need to decide what style you want to apply for your corner fireplace. Each style offers different result, so make sure that your space is ready to receive the style you choose to apply. You can choose the traditional or modern kind of fireplace. Using real woods and fire to create the real fireplace inside the house would support any classic, antique, and traditional design of the living room. But, if you don’t like to get your living room to be dirty or polluted, there are things you can do to avoid. One of them is to use modern technology. The technology we are talking about here is the electric fireplace. There will be no fire, woods, ashes, dirt, and pollution. In this article, there will be 23 corner fireplace ideas you might enjoy exploring. All of them are ready to inspire you to have a cozy living room. It would be surely heating up the room during the cold weather and the best place to gather the family around. 1 1. Modern Corner Fireplace Ideas With Exceptional Decors Which Is Friendly To Small Spaces. 3 3. A No-Mantle Corner Fireplace Idea With Stones Up To The Ceiling And A TV On Top Of The Fireplace. 7 7. A Nice Corner Fireplace Design Flanked By Dual Bookcases With Upholds Beautiful Mirrored Panel. 10 10. Some Persimmon Accents For The Corner Fireplace Design To Create A Modern And Airy Living Room. 1. 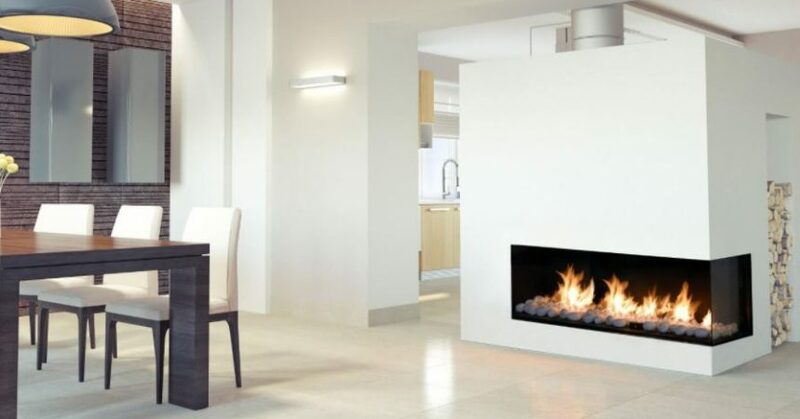 Modern Corner Fireplace Ideas With Exceptional Decors Which Is Friendly To Small Spaces. 3. A No-Mantle Corner Fireplace Idea With Stones Up To The Ceiling And A TV On Top Of The Fireplace. 7. A Nice Corner Fireplace Design Flanked By Dual Bookcases With Upholds Beautiful Mirrored Panel. 10. Some Persimmon Accents For The Corner Fireplace Design To Create A Modern And Airy Living Room.